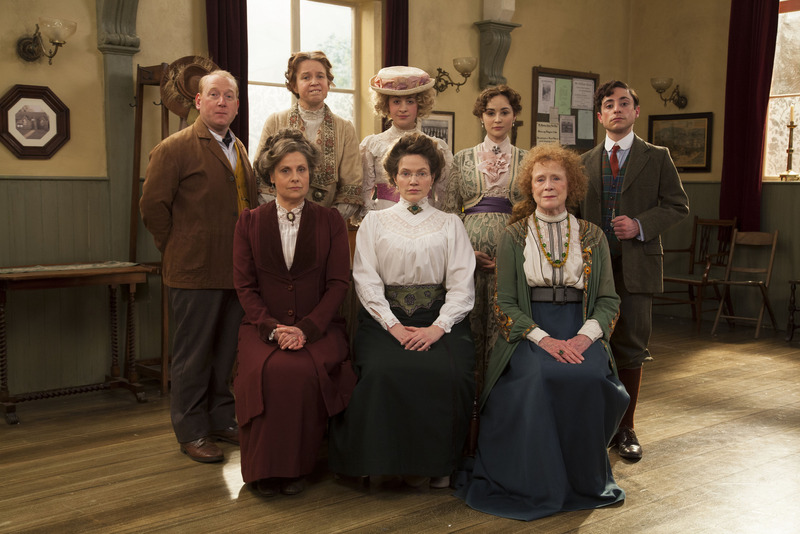 Up The Women is a new three-part BBC Four comedy starring; Jessica Hynes, Rebecca Front, Vicki Pepperdine, Judy Parfitt, Adrian Scarborough, Emma Pearson, Ryan Sampson and Georgia Groome. It’s Banbury Church Hall, 1910 and Margaret, Helen, Myrtle, Gwen, Eva, Emily – otherwise known as the ‘Banbury Intricate Craft Circle’ – arrive for their regular meeting. 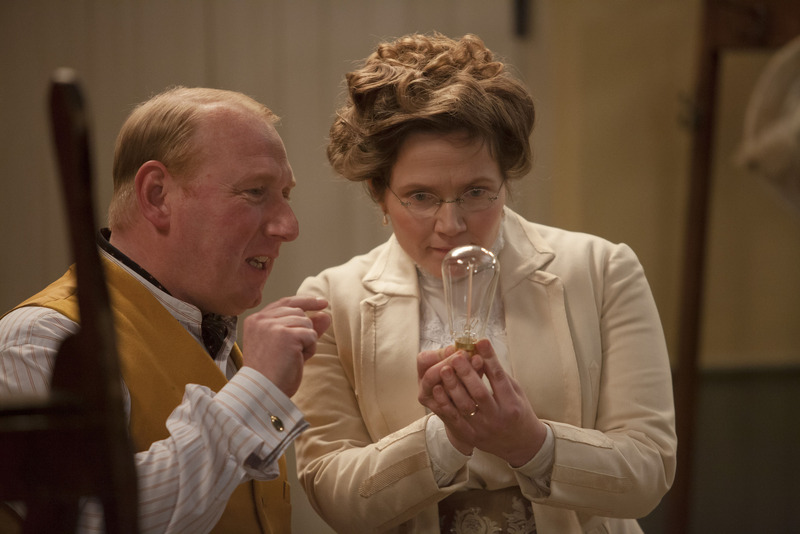 The change is not met without opposition, which comes from Helen who, exasperated by caretaker Frank’s efforts to bring electricity to the church hall, has little interest in women’s rights and even less interest in any good ideas she isn’t in charge of. 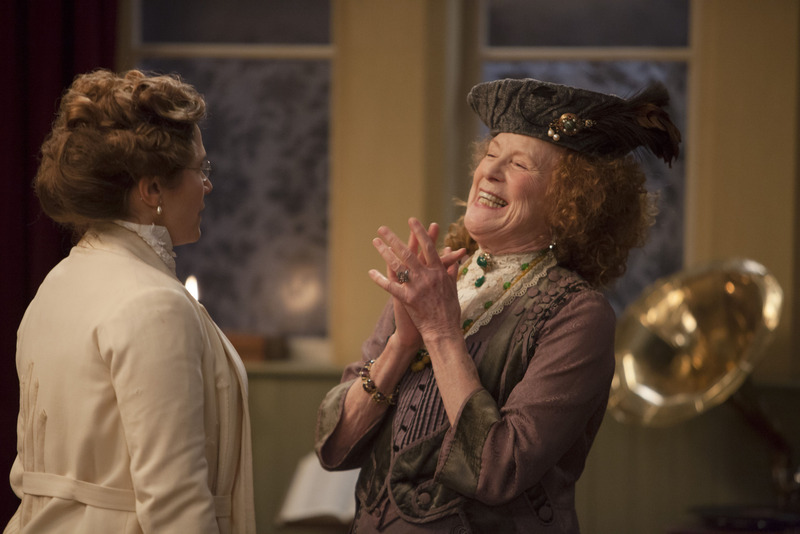 In a rebellious coup, she establishes an anti-suffrage league, poaches Margaret’s recruits by bribing them with cake, and takes up headquarters in the kitchen. 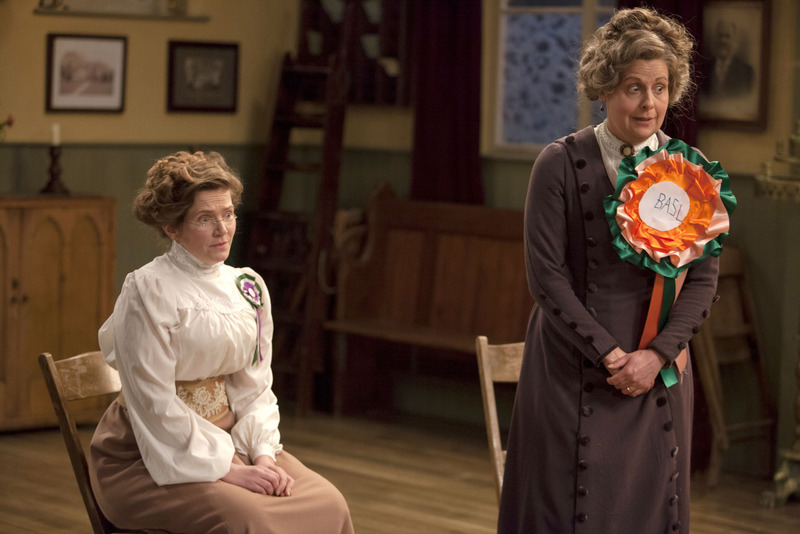 Will Margaret convince the women to fight for their rights or will Helen persuade them that votes for women, and electricity, are utterly unnecessary? 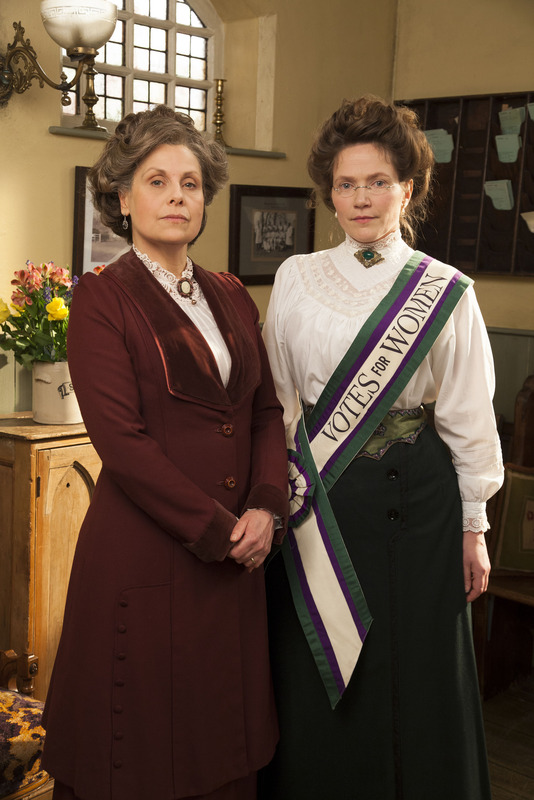 Up The Women begins on BBC Four on Thursday 30 May at 8.30-9.00pm.